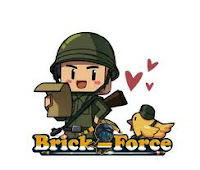 The Brick-Force Builder: Brick-Force last informations! Here are last updates about Brick-Force informations. - Advanced Access (or Closed Beta if you prefer) begins on February 28th. Register now for the beta to get a special item and a chance to be in! - There's currently no official date of Open Beta. It will be decided in function of the results of the Closed Beta. - The release will be somewhere in Spring! 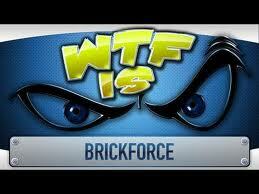 Brickforce.fr, a French fansite had the chance to ask 10 questions to the Brick-Force team. 1st question : When we buy weapons, they will last X days or indefinitely? >>This hasn’t been decided yet. 2nd question : Can we know the characteristics of weapons? 3rd question : When the account management system will be online and when can we get our beta keys? >>Account management system will be online within a few weeks. Beta keys will be ready within 1 week. 4th question : A personalization of skins ? >>Items will be avaliable ingame allowing you to customise your character. 5th question : To the release of the game, it’s early spring or late spring? >>We are planning to release open beta in Spring. It depends partly on the feedback and response from the community in closed beta. 6th question : We can define the size of the maps? 7th question : The shop sells what? 8th question : Later, there will be other game modes? 9th question : A big exclusive to tell the players? 10th question : So, the game is not a Pay2win ? Totalbiscuit, the Cynical British had the chance to test the alpha version of Brick-Force. He made a video called "WTF is Brick-Force": you can see it here.